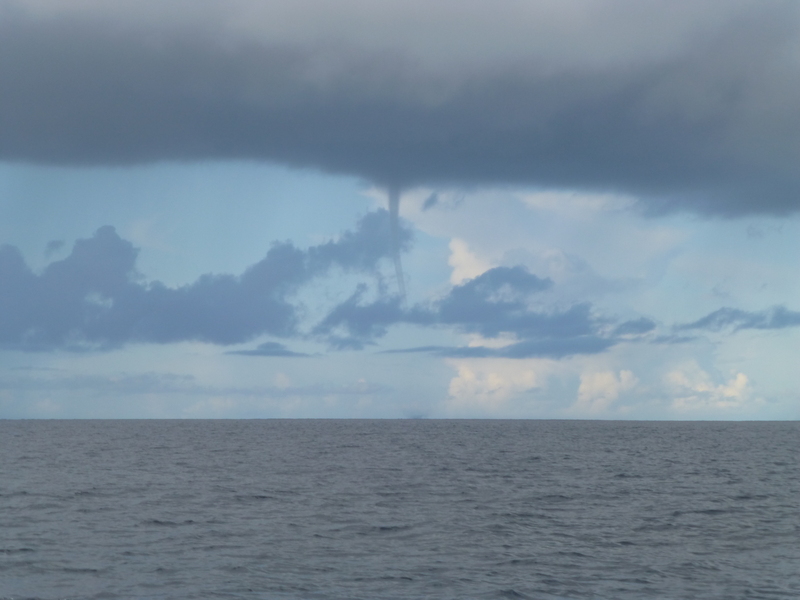 ~ Build a boat, sail a boat. We don’t really know what a Blog view is. But we have 10,000 of them. Woo-hoo. The most popular post of all time remains Notes from Nancy. I don’t think that surprises anyone. 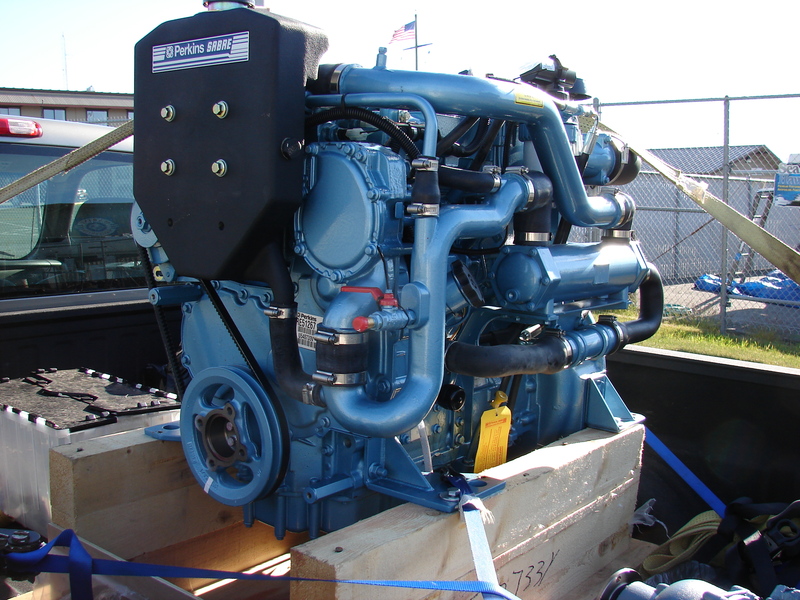 The second most popular post of all time is related to the installation of our new Perkins-Sabre M92B engine with the Borg-Warner Velvet Drive transmission: Engine Here Now. Here is some information from the Perkins-Sabre people: M92B Install Manual; M92B PERKINS PARTS; M92B Users Manual. The VelvetDriveManual may be helpful with transmission problems. 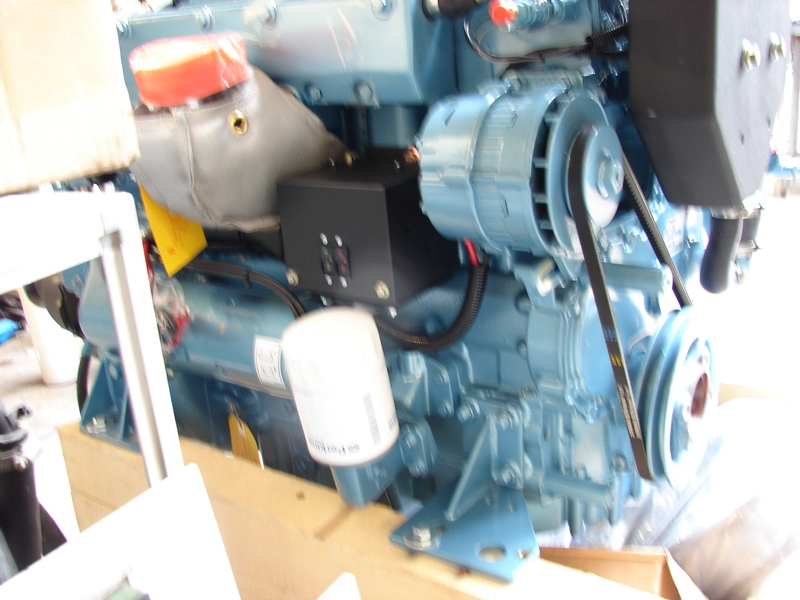 Based on the factory recommendation for operation under 2500 rpm, we now run 30W oil in the transmission. 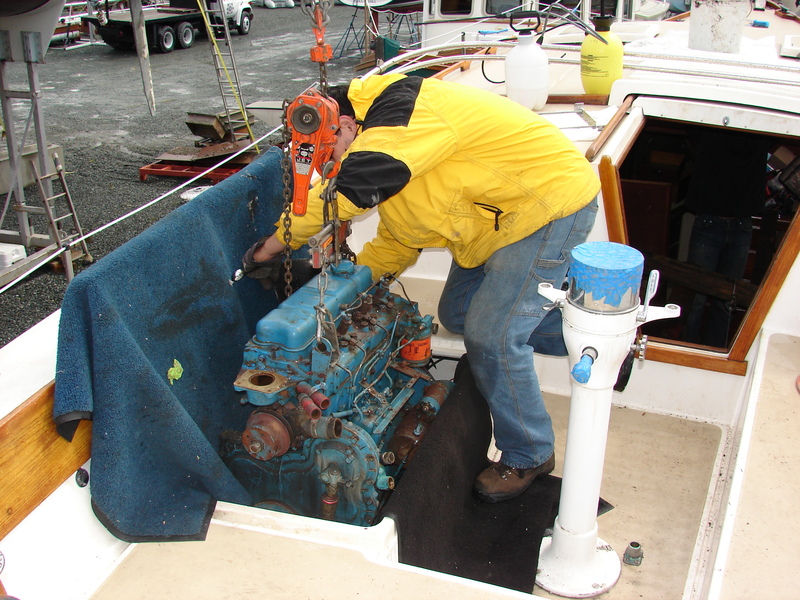 If you have a Velvet Drive problem you should call Mike at Harbor Marine in Everett, Washington. Please say hello from us. 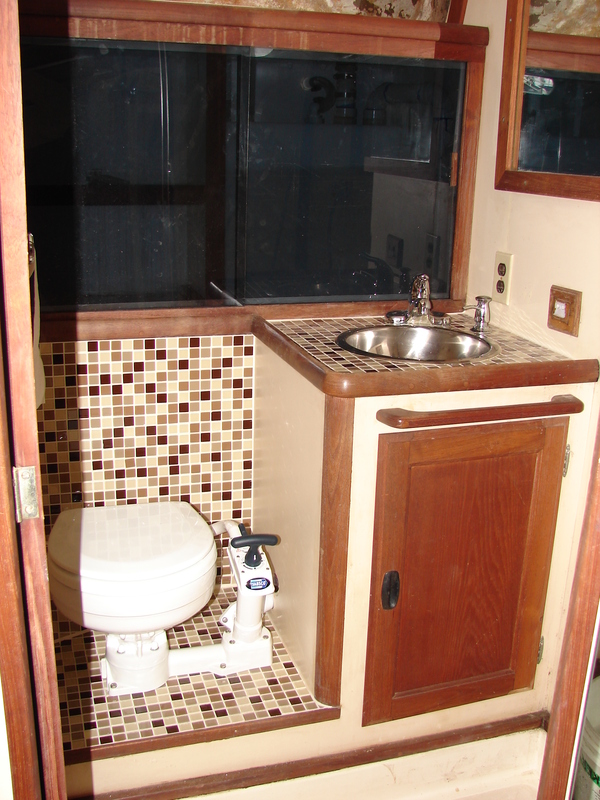 By looking for the search terms people used, we know we’ve helped people with their “feces holding tank:” (Everybody Poops). 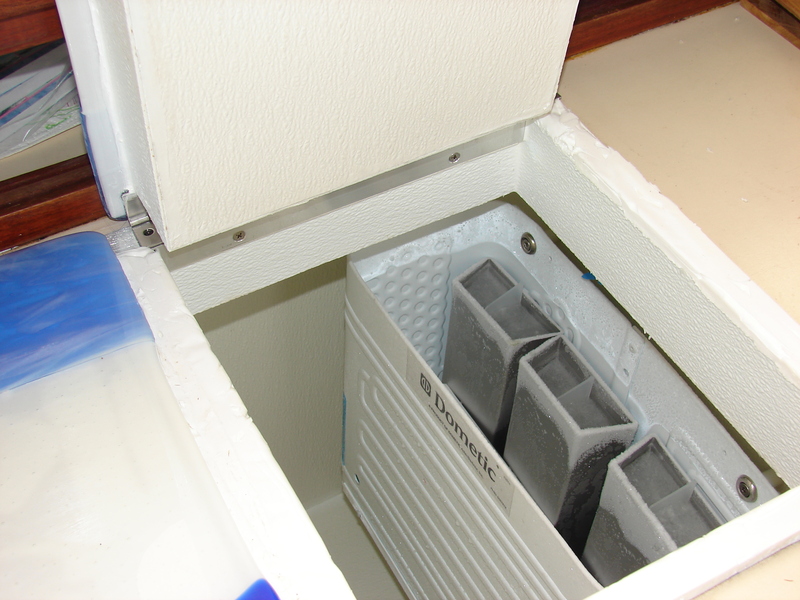 We also helped people with their “fiberglass sheets icebox liner:” (It’s Cool to be Cold). I’m pretty proud that we’ve apparently helped several people who found us searching for terms like: “lump on rib cage left side.” (Hueso Roca Revisted). We’ve had visitors from 83 different countries. Copies of Mermaid continue to fly off the shelf at Amazon, if you count a server farm somewhere as a shelf. 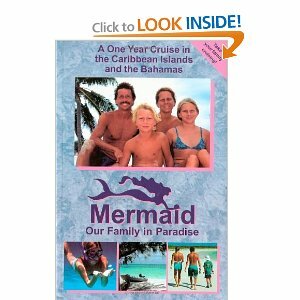 Kindle copies of the book (Mermaid, Our Family in Paradise Book) and electronic copies of the movie (Mermaid, Our Family in Paradise Movie) are selling the best. We even got our first one-star review on the movie. Can’t please everyone. A dios, amigos y amigas. Big Day. Big, big day. The day started out great. Look how blue everything is. 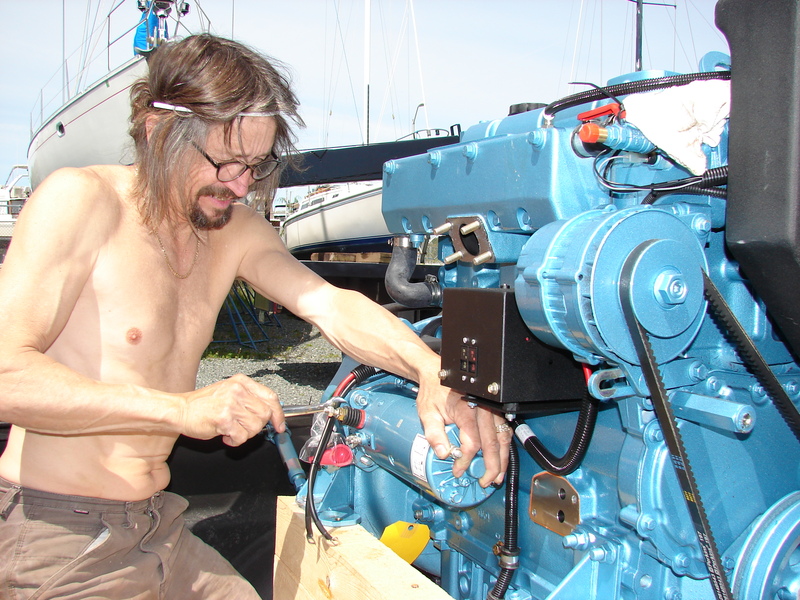 Before we installed the engine, we had to install the new shaft. 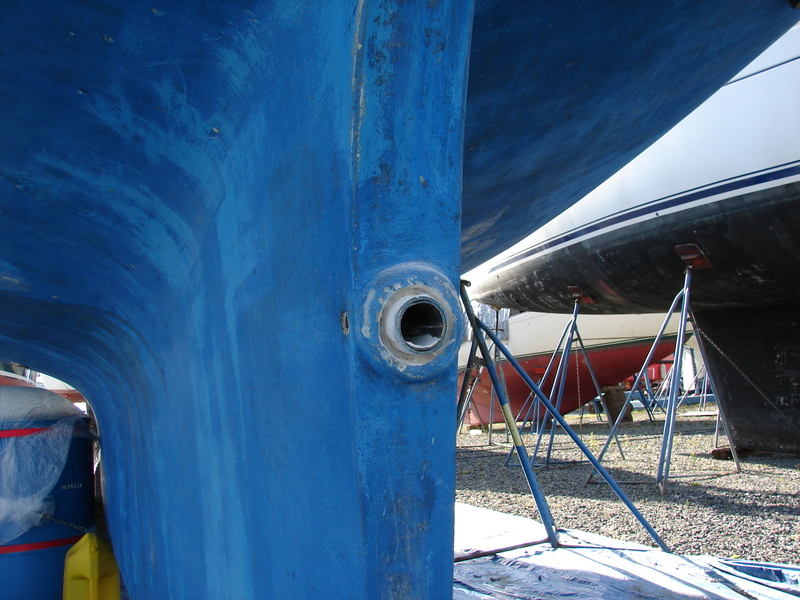 This is because the rudder is in the way of installing the shaft from the outside, and we don’t want to pull the rudder. 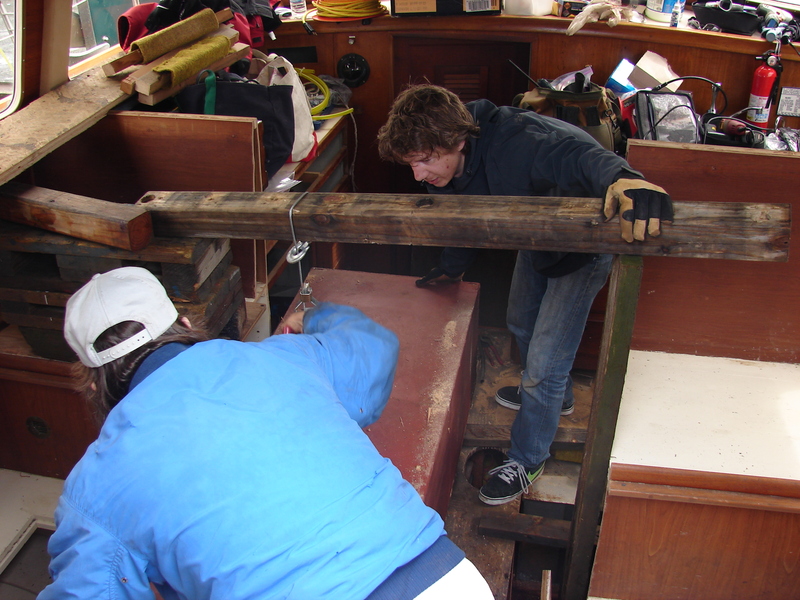 Pulling the rudder means lifting the boat six feet higher than it is and literally dropping the rudder out of the boat. Yuck. 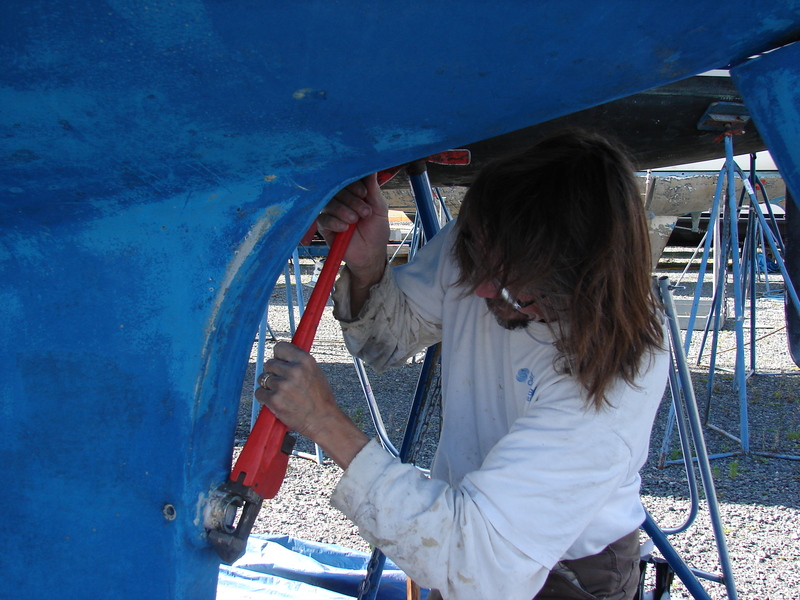 So instead we slide the shaft into the shaft tube from the inside, through where the engine goes. But before we install the new shaft, we have to remove the old, worn cutless bearing. The cutless bearing is a rubber and bronze thing that forms a water-lubricated journal bearing just forward of the propeller. 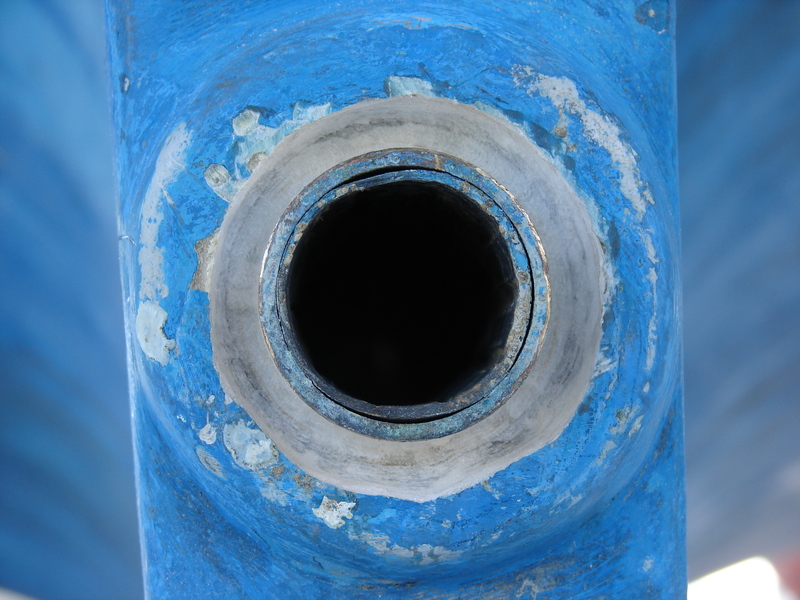 Water actually makes a terrific lubricant and rubber makes a great bearing material against the steel shaft. I’d explain it in more detail, but it’s all covered in the second semester of the junior year in the mechanical engineering curriculum. I’d hate to spoil the joy of discovery for you. So I used the Dremel tool to dig out the epoxy around the bronze sleeve of the cutless bearing. 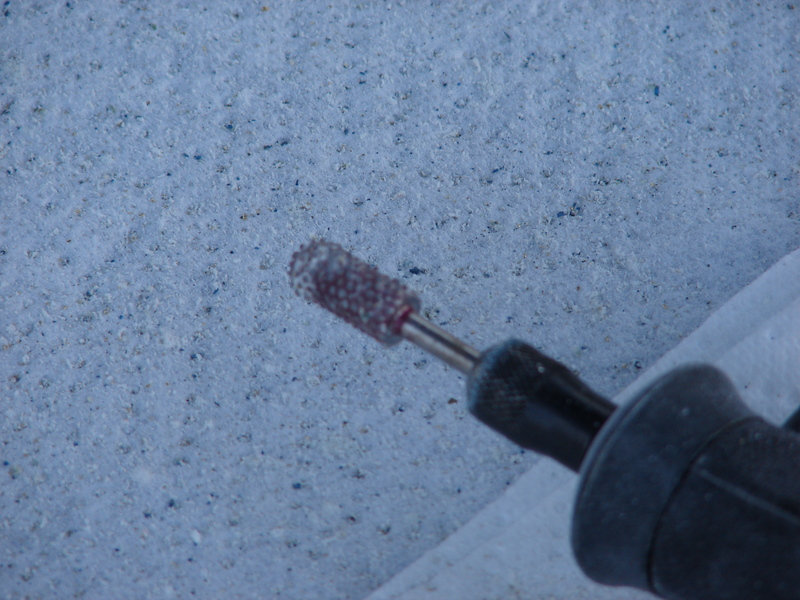 This was my first chance to use an amazing Dremel bit I’ve had for several years. They use a magnet to get little carbide slivers to stick to the tool shaft in a prickly way, then braze the carbide slivers to the shaft while they’re still stuck there. It works like crazy, stays sharp, and doesn’t load up. Anyway, I dug and I dug and didn’t get to the end of the epoxy that was holding the cutless bearing in. By the way, the dark inner circle is rubber, the patina’ed outer ring is the bronze tube, the white circle is where I dug out the fiberglass and epoxy (see the layers? 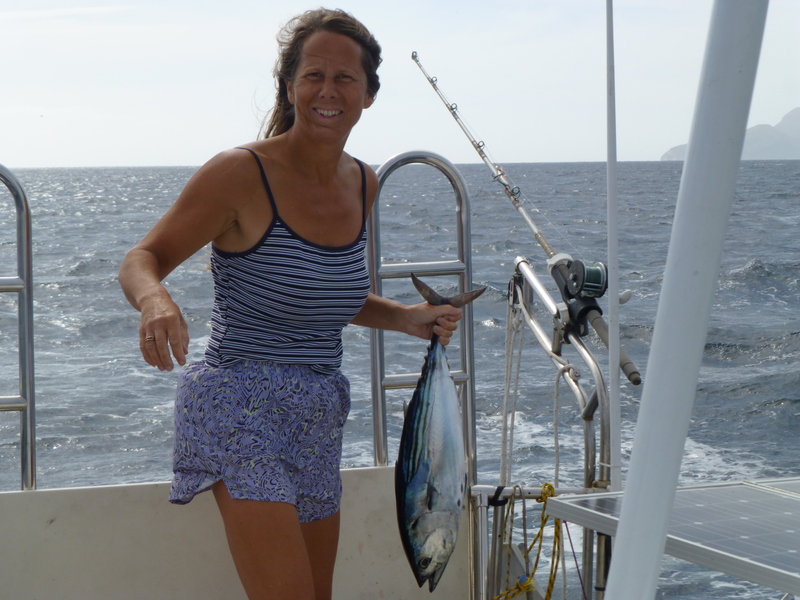 ), and the blue is the outside of the boat. I used the sawzall, borrowed from the yard, to cut the bronze sleeve in two places. Not difficult, actually. 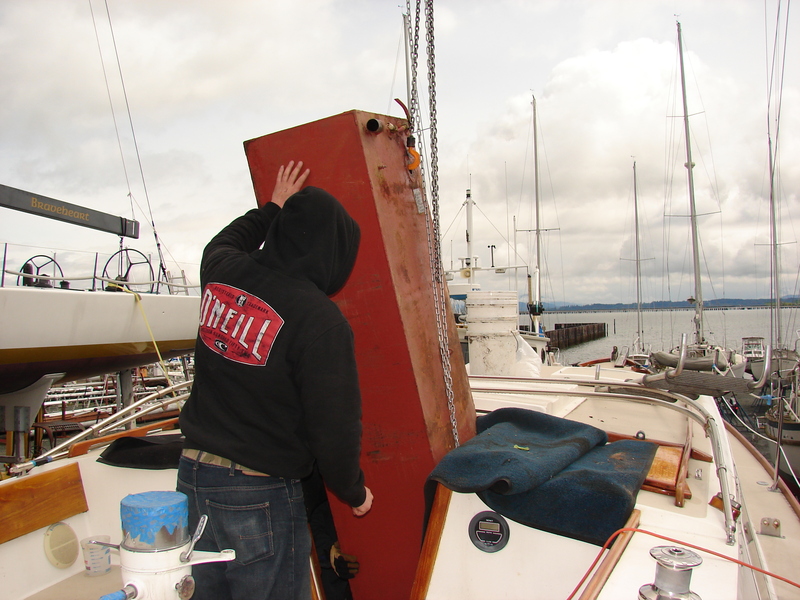 Then I used a non-borrowed pipe wrench to crush what was left of the bronze tube and pull it from the keel. Out it came, leaving a fiberglass hole that I cut in several places trying to remove sealant that wasn’t there. The new bearing will slide right in, when the time is right. 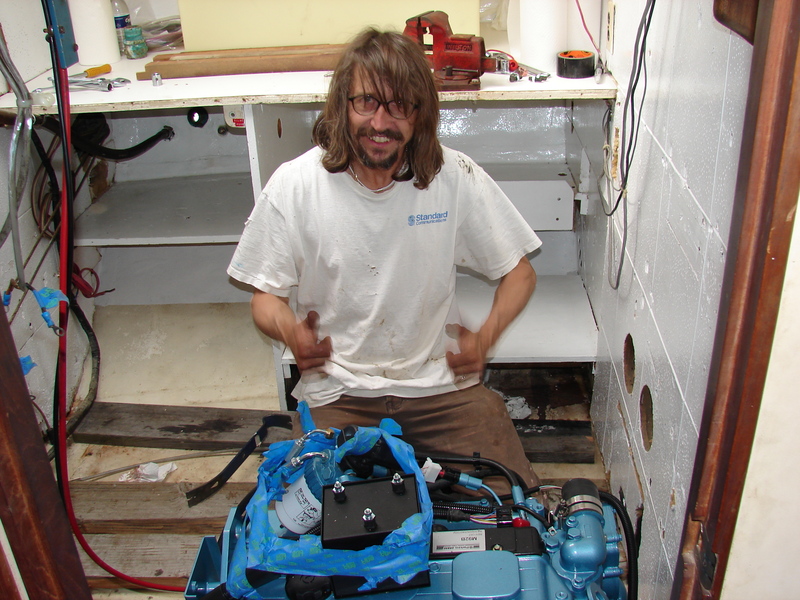 So we slid in the new shaft and got ready to install the new engine. First we had to remove everything that wasn’t 19 inches wide. 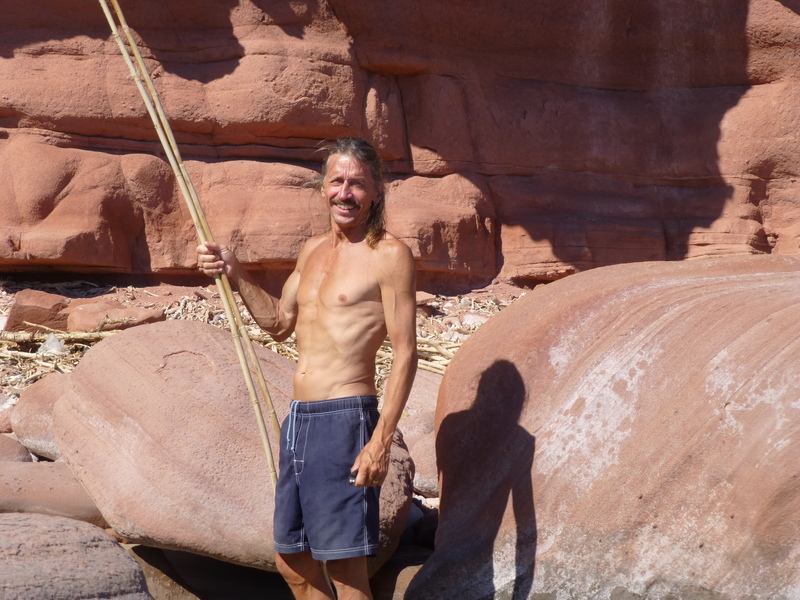 Some old shirtless guy with saggy skin showed up to help. 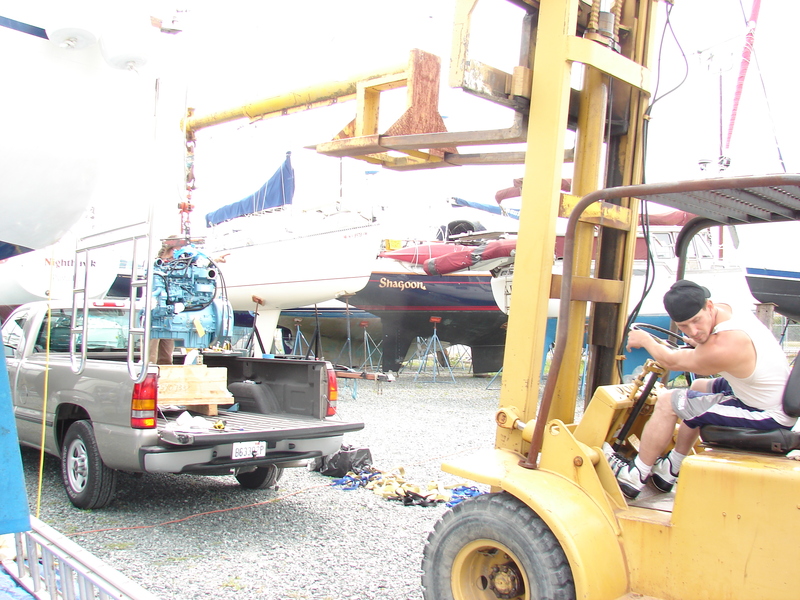 Then we lifted the motor with a forklift stinger/poker/extension/long deal and a chainfall. 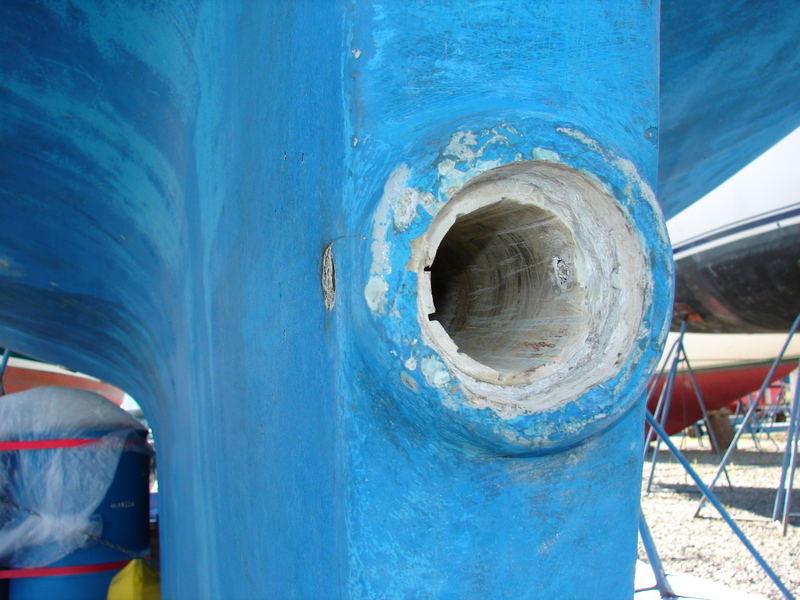 The hole in the boat is 19 inches wide. The motor didn’t fit one way, but we swung it 180 and it dropped right in. It was terrifying. By the way, the engine weighs 1000 pounds, more or less. Probably 800 as lifted. Not something you want to get under. 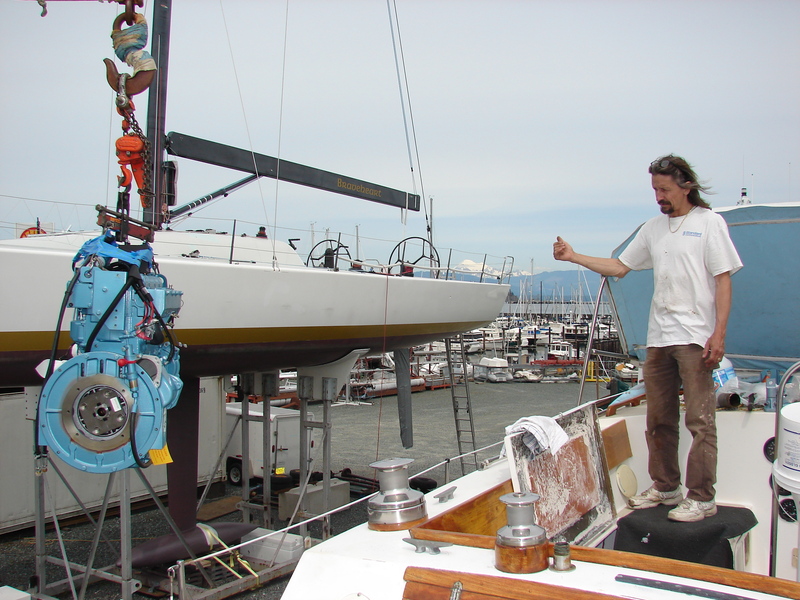 Once it was in the boat, we added the transmission and the engine mounts and pushed it sideways into place, then dropped it onto the engine beds. It, miracle of miracles, fit. Nobody died, nobody got hurt. What a great day. Once again, we borrowed Washington State Coach of the Year Art Wiper’s truck and drove to Seattle. 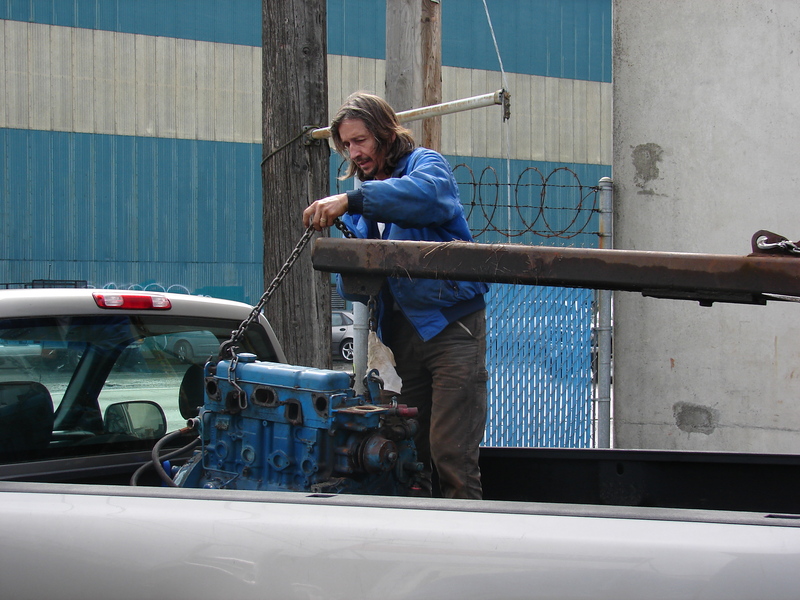 We drove to Seattle because our new engine and transmission were ready for pickup. Woot. It’s very large, and very distinctively blue. When you see that blue, you know you’re looking at a Perkins. Apparently bare cast steel is the going thing in marine transportation these days. We pointed out the lack of thematic blueness and were given a spray can. Squeaky wheel, yo. This is the front of the engine revealing the number of grooves in the stock drive pulley. Perkins/Sabre considers this information a trade secret and will not tell anyone, even after your paid-in-full-in-advance check has cleared. 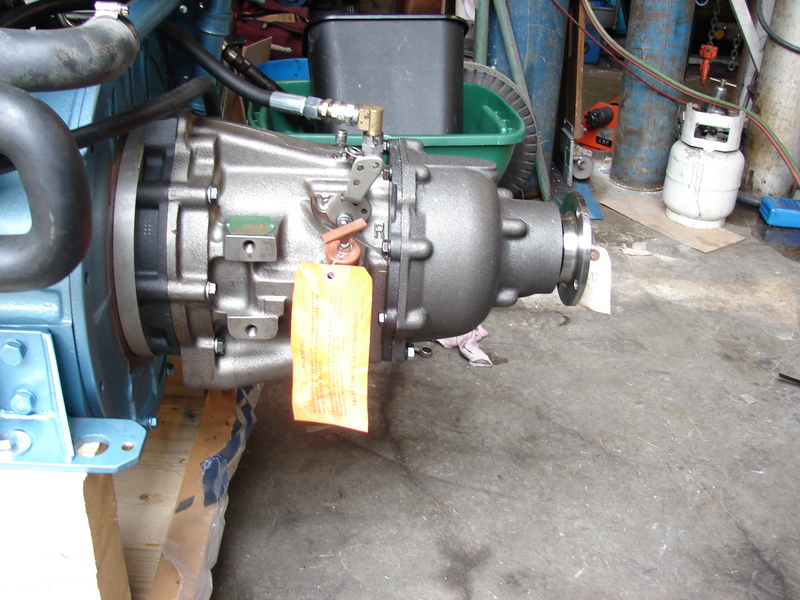 Once we saw the second groove, we were able to order our 210 amp alternator. 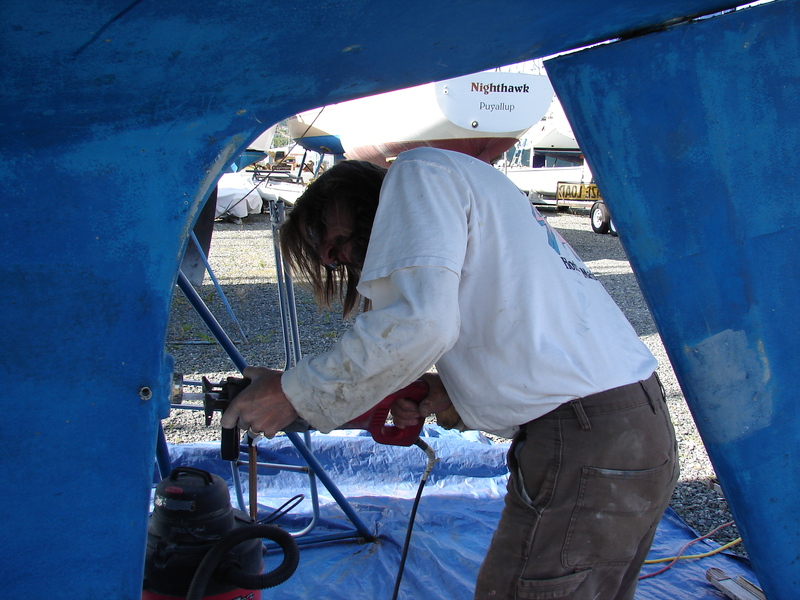 After driving WSCOTYAW’s truck home in the rain, we were able to clean the rust and grease from our brand new transmission and set up the Camano Island Marine Transportation Paint shop (out doors). 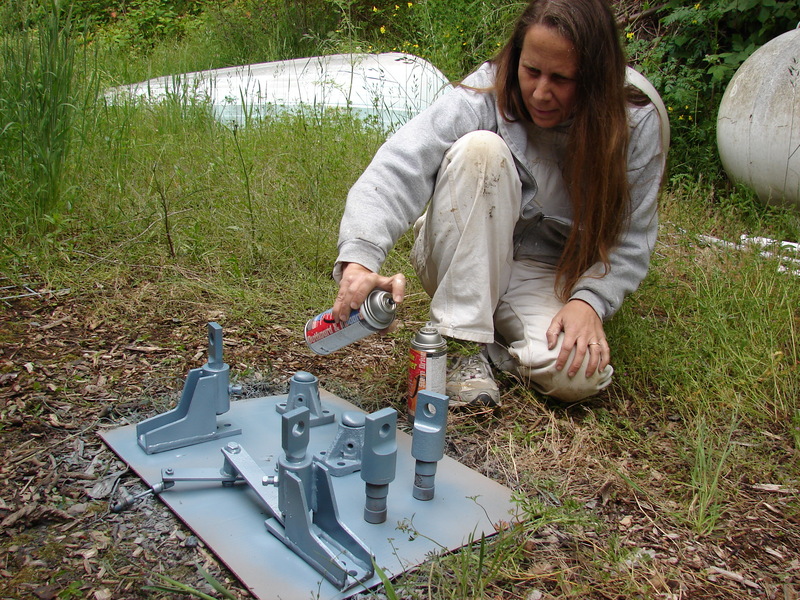 We are not permitted, and have removed all signs of the incredible environmental damage. 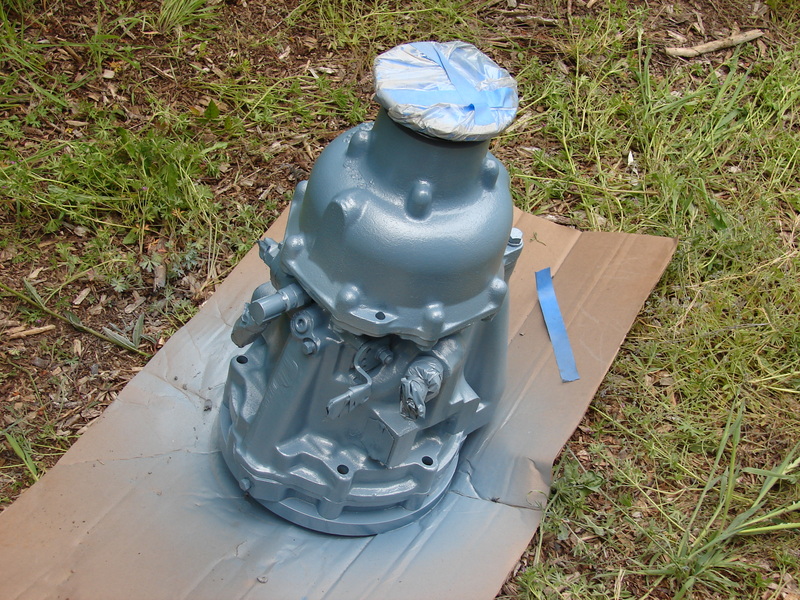 Our free paint came in handy to refinish the motor mounts we’re reusing. 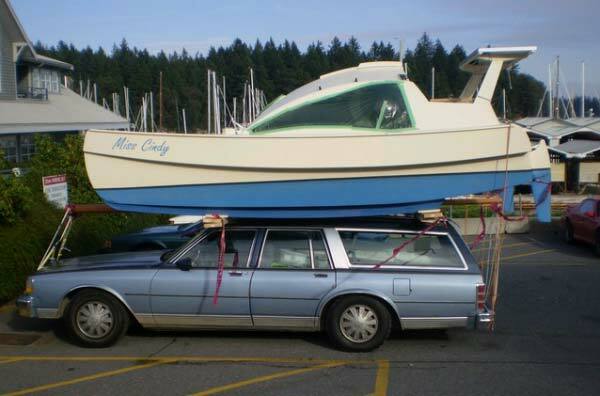 If the marine industry sold cars they would come without tires. 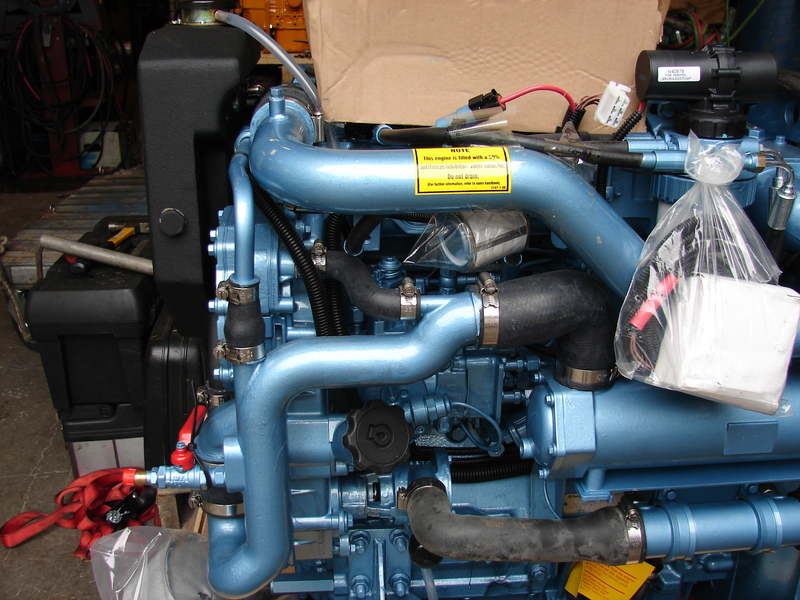 Our Borg-Warner Velvet Drive 2.91:1 transmission looks great in OMC Metallic Blue. Hopefully it’s a pretty good match to the incredibly distinctive PerkinsSabre Blue. Hopefully it all goes in the boat on Friday. Hopefully. We’ll see. Many moons must align. Lots and lots of hopefullys. Preparation, preparation, preparation. Then adapt. 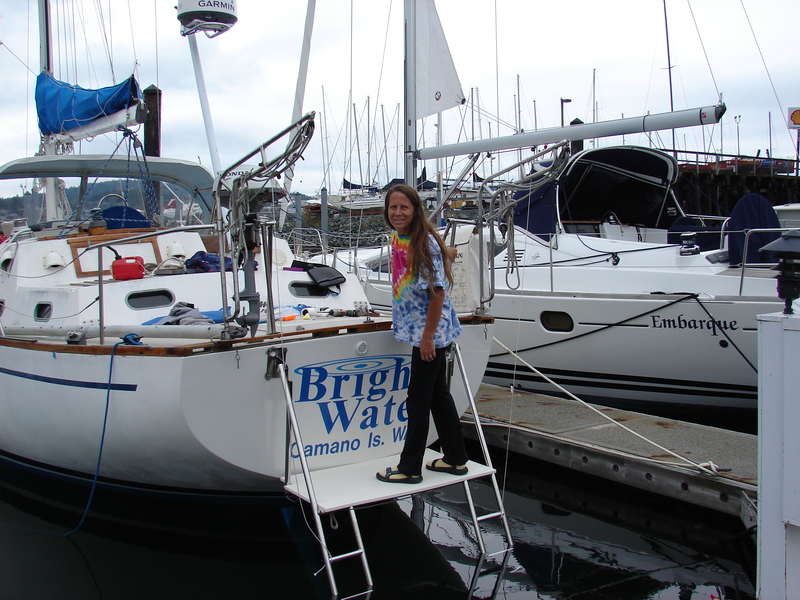 The hard rain woke us up at 4am, but it only rained a little in Anacortes. The sun actually came out by 10. 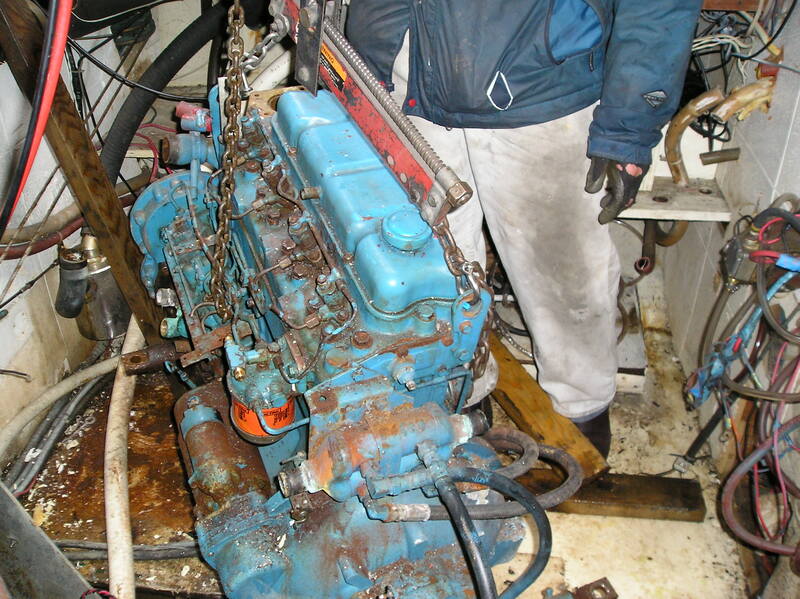 We had the engine all unbolted, but to get it out of the hatch we had to get the mounts and transmission off after the shop crew lifted it out of its oily hole. While they went to break, we pulled parts. 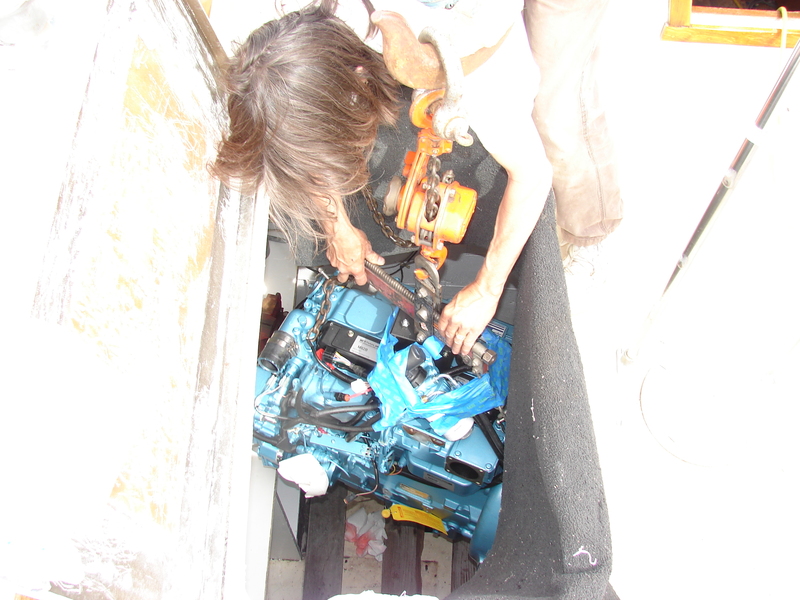 They came back and lifted the engine out of the hatch with well over 1/8 inch to spare. Then we loaded the engine into Washington State Coach of the Year Art Wiper’s pickup truck. 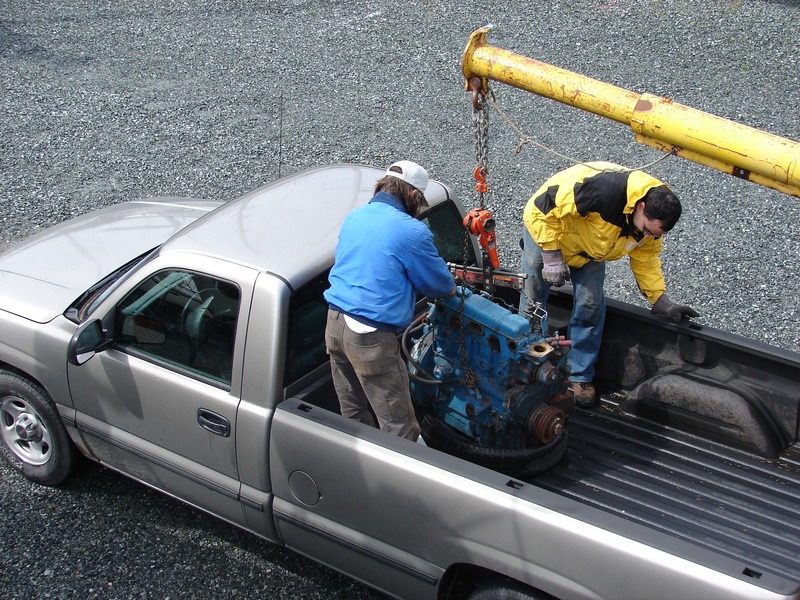 I’ve always wanted to put a clapped-out engine onto a tire in the back of pickup truck. I’m living the dream. 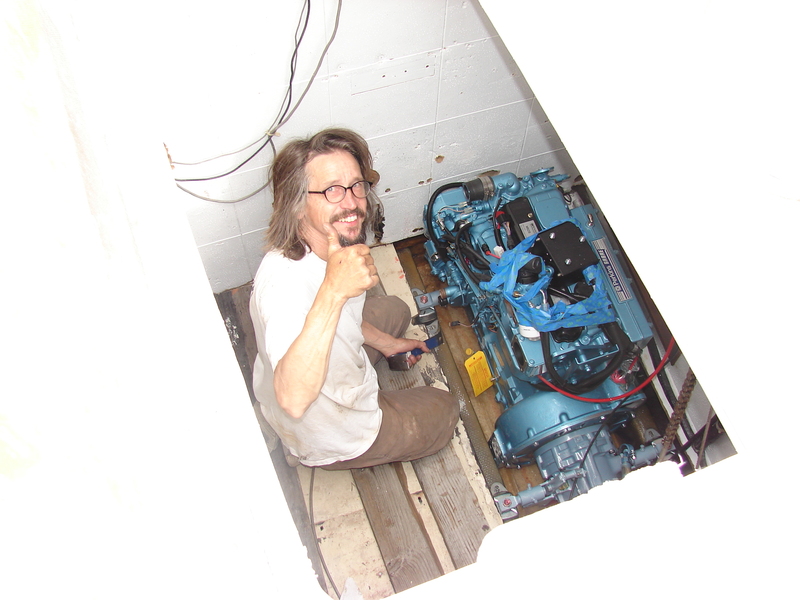 Then the shop guys put the forklift away and got the boom truck, while Pender and I did some extraordinarily dangerous, stupid, and ad-hock rigging to pull the fuel tanks out of the subfloor. 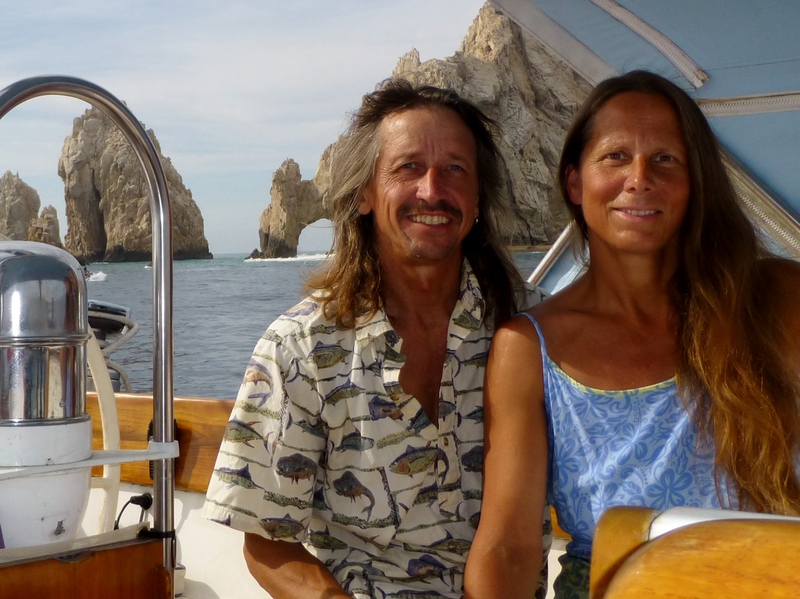 The tanks came right out the companionway. 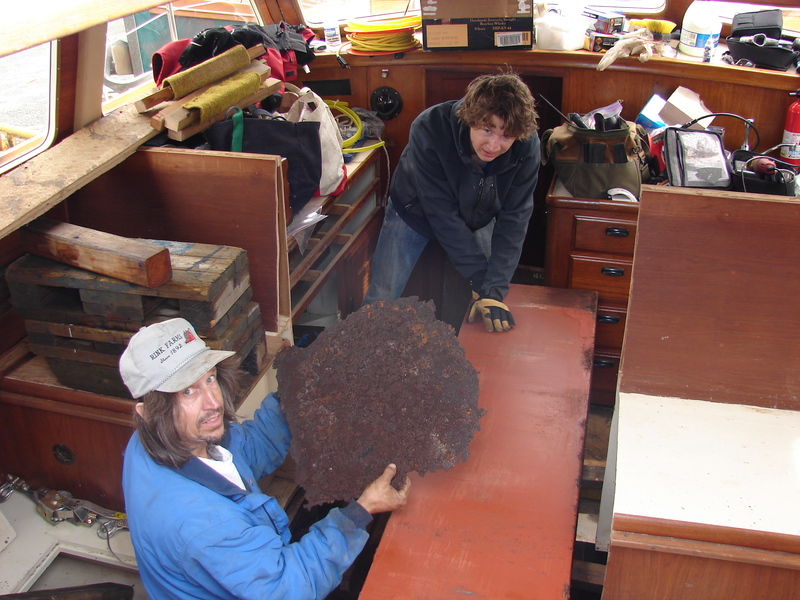 Our decision to pull the tanks was completely vindicated by the discovery of three large rust pizzas under the port tank. We’re surprised the tank still held fuel. After a quick cleanup we jumped in Washington State Coach of the Year Art Wiper’s truck and drove to Ballard. Two hailstorms later we got to the engine rebuilding shop, but the boys were out fixing something. So I drove the forklift. Nobody died. What a great day.